OH OH OH~ I forgot, I have one more thing I can post this weekend! I made my FIRST EVER ATC, at the request of a friend! I was seriously worried about how I was going to work with such a tiny piece of cardstock, but once I got going, it worked out just fine! 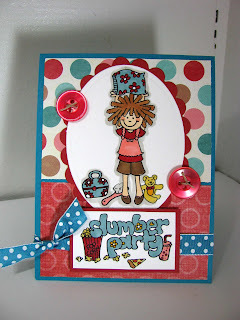 I was able to part with a tiny sheet of my favorite Daisy D's red polka dot paper that I had left from an 8 x 8 pad. 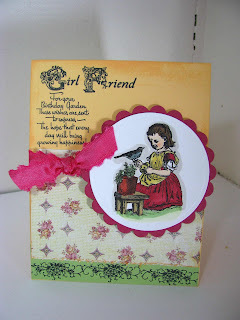 I wanted my ATC to reflect me personally and all my favorite things; Crafty Secrets stamps (Garden Girl set), flowers, the color red, and Daisy D's *SNIFF* red polka dot paper. Have you tried an ATC yet? Just in case you haven't; the measurements of these cards are 3.5 x 2.5. I challenge you to pick up your favorite things today and try your hand at one! Oh man, once I started playing with Anna's new Whippersnapper Wildflower Silhouette set, I was just on a roll, and started trying lots of different techniques with it. This is a big sprig of flowers from her new set, and I used a technique I haven't really ever used much, and found out it's pretty fun to do! I used the "poppin pastels" technique. I stamped with Versamark & then took make up applicators and my SU chalks, and dabbed chalk all over the versamark. Of course, I LOVE color, so I went HEAVY with the chalk, so that my image came out VIVID! I then took and spritzed the image with Victorian Pink Glimmer Mist, which sort of sealed the chalk into the image! 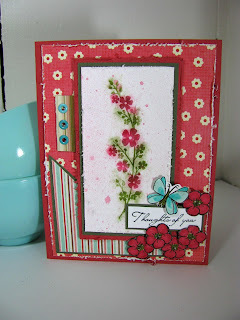 I also took a flower and butterfly from Anna's Blossoms & Butterflies set, stamped and colored them (Cool shadow and carmine Copics), cut them out and layered them in the lower corner of the image. 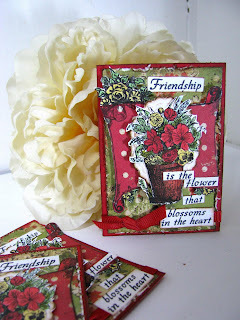 The sentiment is from Whippersnapper's Blooming Expressions set. The flowers in this card are from the same 2 sets. 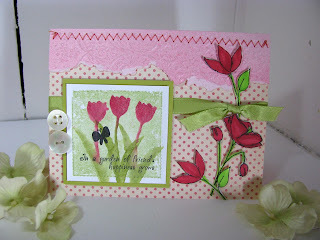 I used a Hero Arts Square distressed background block, inked it up with Certainly Celery ink, and stamped my tulips over the top of the square. Hope you're having a great Sunday; I'm trying to work on my final Dirty Dozen projects for my last Dirty Girl release in March! 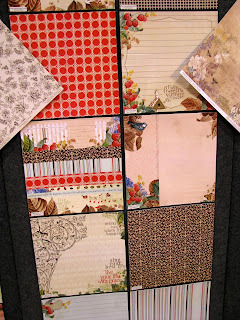 Today I'm knee deep in Dirty Dozen projects, and thought I'd take a break and play in the Splitcoaststampers Inspiration Challenge. Today's challenge uses the website "Flutter" to jump start your brain; we were to use any object we liked from the website to start our cards with. OH MAN, I could get LOST in that store for HOURS! I used this "Posie" bouquet pillow for my inspiration. I started with red cardstock for my border, and embossed Autumn Leaves Swirls all over the edge of the card, to simulate the lace from the pillow. 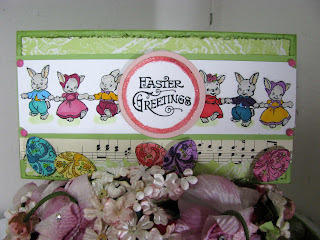 Then I borrowed an Anna Wight Whippersnapper stamp from a friend, called "Basket of Blooms" for the focal image. 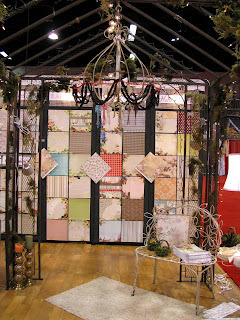 You can see all of the creations for this challenge HERE at Splitcoast. Lots of cool cards! I have to go back to FLUTTER and play again this weekend. WHAT FUN! Supplies: Basket of Blooms (Whippersnapper) October Afternoon Hometown polka dot paper, Copics: Dark Pink, Robins Egg Blue, Pale Sepia, Golden Yellow, Lipstick Red, Warm grey 2, cyanine blue, pale olive, spring dim green, Bazzill & May Arts brown gingham ribbon, black brilliance ink. 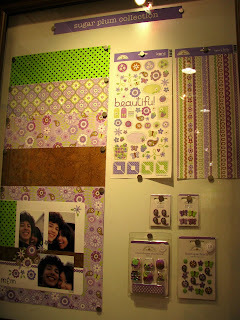 "Blooming Expressions" set. The whole thing is "Glimmer Misted" in Tattered Angels "Pearl" color. 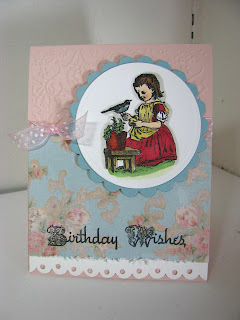 Another Anna card tonite, done with Anna Wight's new Whippersnapper cling set release, called "Wildflower Silhouette". I toned down the colors a bit and went more elegant with the paper, using a scrolly damask patterned paper by Fancy Pants. I used my Stampin Up Watercolor markers to color directly onto the rubber, starting with some simple celery green ink for the greenery for my background. 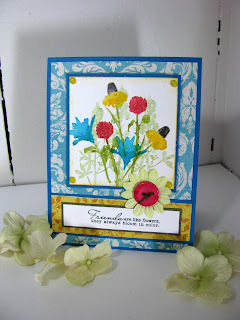 Then I went bolder with blues, yellows and bursts of red, stamping various flowers from Anna's set. I just kept adding flowers until it seemed balanced to me, and meadow-y. I glimmer misted over the entire image again, using "Pearl" color glimmer mist, lightly spritzing using wide quick sprays across the paper. 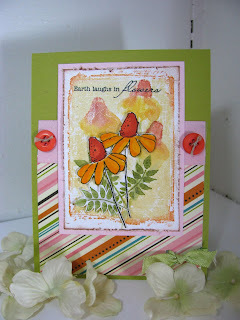 The sentiment is from Whipper's "Blooming Expressions" set. Guys, THANK you for all of the sweet comments you left on my blog yesterday, you absolutely MADE my week! I wanted to respond back to each and every one of them, but tonite I'm nose to the grindstone cranking out more sample cards. 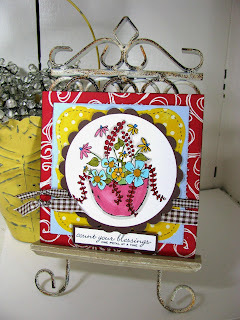 So I'll keep it short and show you one of the cards I made with Anna Wight's newest Whippersnapper cling mount set, "Wildflower Silhouette". The stamps were made from some of Anna's photos of wildflowers ...I think that's SO cool! 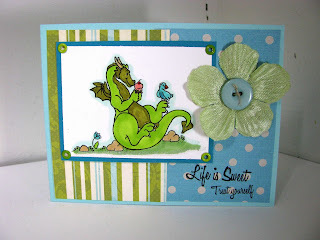 It gave me a chance to pull out my neglected Stampin Up water-based markers. 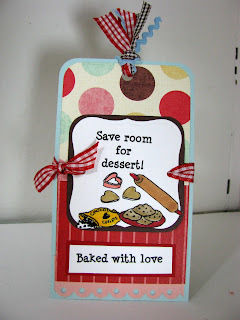 This card was QUICK and EASY! 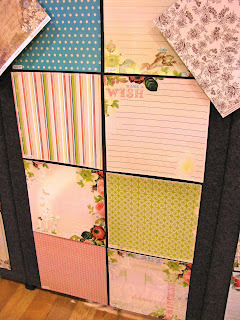 I used a patterned paper background (We R Memory Keepers White Out Frenzy Burst), and then set about making the 'clean and simple' main image. 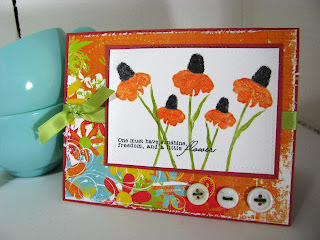 I colored directly on the rubber of both the large and small mexican-hat flower stamps with only orange, black and old olive markers, and then stamped them onto Neenah solar white cardstock at various angles. The sentiment, which is from Whipper's "Blooming Expression" sentiment set, went across the stems in black brilliance ink. After it dried, I spritzed "Pearl" color Tattered Angels glimmer mist across the entire image. 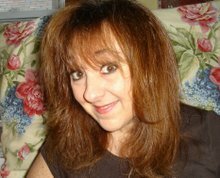 Go ahead, click on the close-up, I think you can see the glimmer! You can see both of Anna's new sets HERE on her blog. Oh man, it's been a LONG weekend of stamping. I've been sick since Thursday and since I've been stuck inside with my snotty little self, I thought I may as well stamp through it. I sound like a frog on helium. Rumor has it that this crud lasts 4 weeks; to quote that infamous line, I ain't got time to sneeze. Err, bleed, whatever. I DON'T HAVE TIME TO BE SICK! 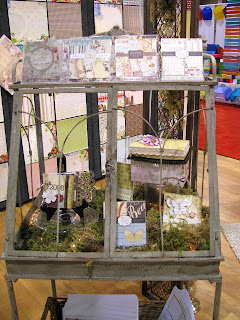 These projects were on my stampin to-do list this weekend; our fearless leader Vicki Chrisman challenged the Crafty Secrets design team girlies to make Spring-themed cards. 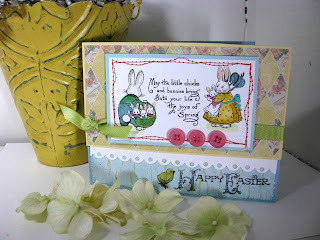 I started playing with the stinkin cute bunnies from Crafty's new Easter Joy set & felt a LITTLE better. I would not handle these cards if you don't want to get sick. Seriously. I suggest you wash your hands after reading this post, even. I also started doing some simple samples that will probably be sent to scrapbook stores that carry Crafty Secrets products. I finally have the 'touch' now with glimmer mist...thanks to Vicki and the class we taught at CHA, I'm no longer a glimmer mist OVER-SPRAYER! YEEEE-HAW, I GOT ER DONE, VICK! P.S. I'll have Anna Wight New Whipper release sets tomorrow & posts ALL WEEK with her new set! 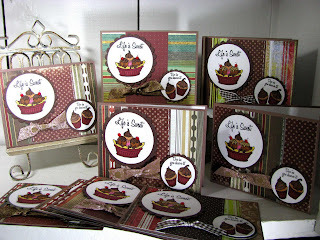 Our Craft Lounge is releasing *28*, count 'em *28* new stamp sets today! 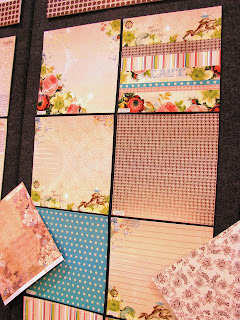 In honor of their new release, they are giving away one of each stamp set on 28 different blogs! I'll be giving away this sweet little boy set called 'Boys Toys'! 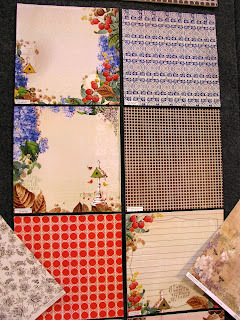 I made these 3 samples for the CHA booth last month. A friend from work gave me the cute little scrabble letters, so I thought they would be cute on this card! 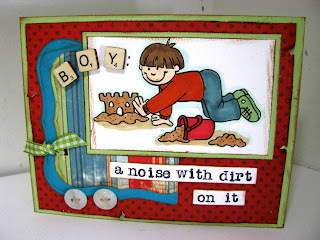 I used a studio G dollar alphabet stamp set to stamp the phrase "Boy: A noise with dirt on it". 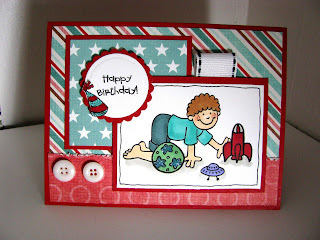 This set makes FUN boy birthday cards! 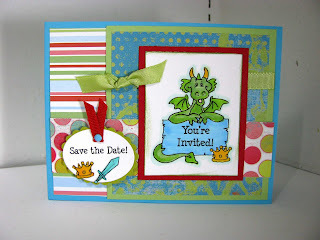 And how about sending a card to set up a PLAY DATE? I'll be drawing a name for this set on Sunday, Feb 15th at 2pm central time! 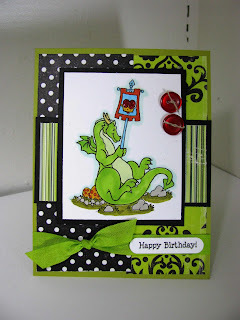 To enter, leave a comment here with your favorite new stamp set from the OCL new release sets HERE! Make sure to check out these blogs to enter their drawings too! You have 28 chances to win! 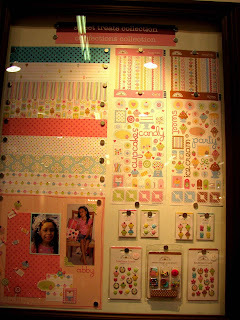 Ok, I am RARING to go now with samples; I uploaded a bunch of my pre-CHA samples from Our Craft Lounge and will have Our Craft Lounge posts next week, plus an OCL BLOG CANDY drawing on Friday! 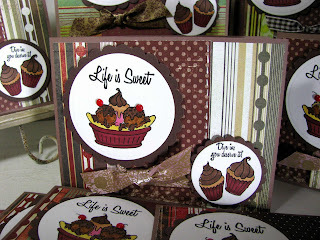 This set is called "Baked with Love", and has tons of fun little accessories INCLUDING A BAG OF CHOCOLATE CHIPS! 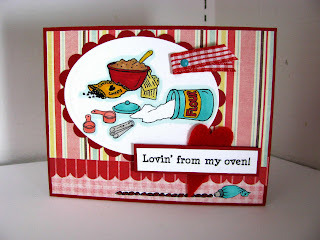 The spilled flour on this set closely resembles my baking style. Just sayin. 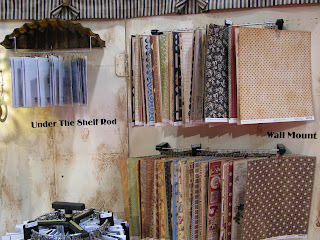 You can see all the new release OCL sets on the Eclectic Paperie website HERE; they are not up on the OCL website yet, but EP has them! I was pressed for time when I was making these, so I thought a fun little quickie tag would be easy to crank out for show samples. 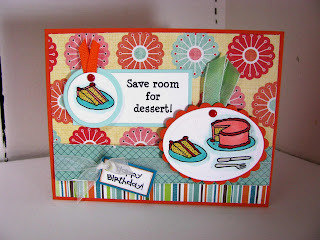 The set also has a birthday cake, so it works for both recipe cards, tags AND a birthday cards! Hey, does anyone have a favorite PINK copic marker color? I need a pink that is not so PINK and in your face! What's your favorite PINK COPIC color? I've been trying to finish these Valentine cards for about a MONTH; I started them sometime in January and then craziness hit and I just never went back to them! So this week I settled in after I finished my taxes and FINISHED THE SUCKERS! I have been eyeing the felt embellishments in Archivers for a while now, but refused to pay the price for them; I mean, it's FELT, people! 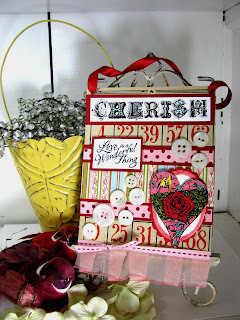 So I created my own heart embellishments with a cuttlebug heart die and a .29 cent piece of red felt that I bought at Joanne Fabrics. I added my little Making Memories chipboard swirls, which I colored in with a pink copic marker (RV19 Red Violet) and then glittered up with Martha Stewart hot pink glitter. 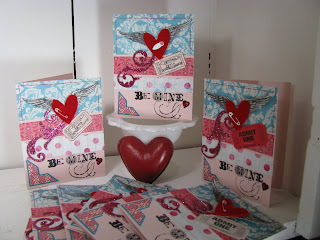 The wing stamp is from an Autumn Leaves valentine stamp set that I bought on clearance last fall called "Love with a Flourish". 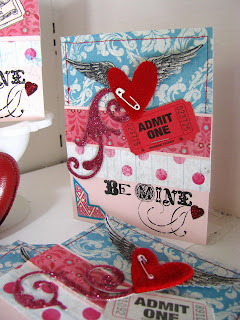 I stamped the wings, then added the felt heart on top, and then added a pin and embellishments (tickets!) on the card front. It is FRIDAY, hope everyone has a wonderful weekend! It's a quick morning post here today; I'm knee deep in taxes right now so my nights are filled with receipts and paperwork! UGH! 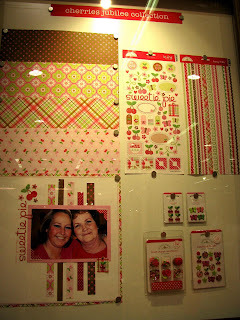 I have a ton of samples to show you from the new sets from Our Craft Lounge that were released at CHA. This set is called "Star's Slumber Party", and she's the same cute boinky-haired chicky that was rockin' on in the last samples I showed you! This set is slumber-party themed. LOOK AT HER CUTE LITTLE SUITCASE & matching PILLOW! I love how Starr can hold up lots of different little items in her hands! 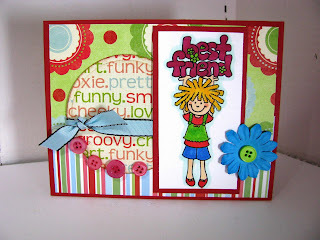 Here I did a best friend card; wouldn't it be cute for invites or birthday cards? Papers: My Mind's Eye & Making Memories. So I think I'm done with the CHA photos now; today's post will be a mixture of all the remaining good photos I was able to snag. The line of papers above are by Imaginice, from their Twitterpated line. 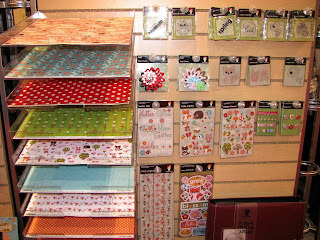 You can see close-ups of these cute little bird stamps and the *GASP* red polka dot paper on the imaginice site HERE. The little birdie stamp in this line sucked me RIGHT in! 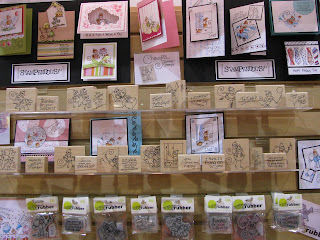 Stampendous is ROCKIN the Changitos again! 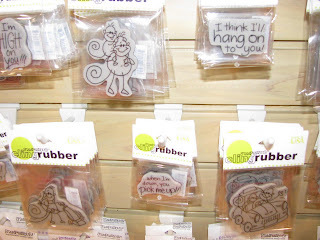 Oh man, they have such cute themes for the new wood stamps! 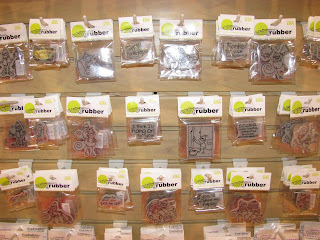 They are also going to be selling cling stamps; I'm guessing these will be at a cheaper price point. I want to say they said they'd retail at around $2.99 each? Someone correct me if I'm wrong! Look at Changito in his cute little car! I was on a sugar high after visiting Doodlebug!!! 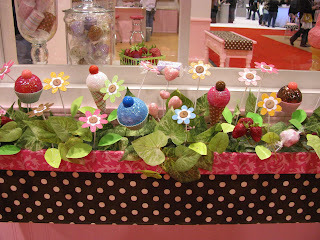 Look at the yummy, sugary glittered display! 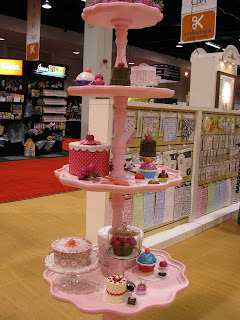 I WANTED this pink cake stand/table! 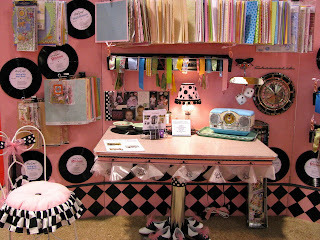 I'll hunt around for one this summer & find PINK paint! Wouldn't it be cute in a stamp room, holding...say, STAMPS? Someone forgot to use her flash on the Doodlebug papers. BAD LISA, BAD! 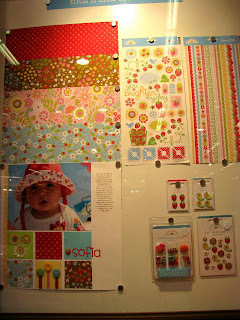 But I wanted to show them to you anyway, because these paper lines are a MUST HAVE! Strawberries and cherries and yummy sweets! Okay, whew. All photos have been edited and posted. Aren't you glad I didn't get around to more booths? You'd be looking at CHA photos for WEEKS! So I'm not gonna lie. Sometimes I can be a bit ...errr....dramatic. I walked into the Webster's pages booth and let out a huge gasp when I saw this sweet garden arbor set up with the Webster's pages papers as the backdrop. I dragged Vicki Chrisman over to see it and as we were standing there sighing, I asked one of the Webster's pages reps if I could just lay down on the floor and die right there. I believe Vicki agreed with me...I'm not sure, because the room went fuzzy and I must have passed out from the sheer beauty of these papers! 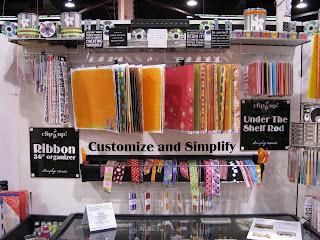 And check out the Clip-it-up booth! 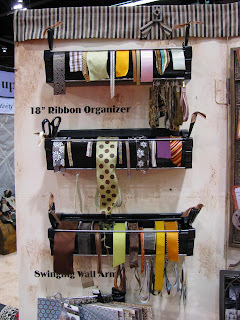 They have wall-mounted paper hangers now, ribbon holders, and SHELVES!